Ian K. Smith, M.D. is the #1 New York Times bestselling author of SHRED, THE 4 DAY DIET, THE FAT SMASH DIET and EXTREME FAT SMASH DIET. He is a co-host of “The Doctors” TV show, a medical contributor to “The Rachael Ray Show” and host of the nationally syndicated radio show HealthWatch. 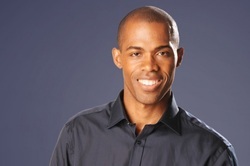 In 2013, Dr. Ian Smith made his first couple of appearances on the show to discuss the Shred Diet, in which multiple members of the Vincent Tucker Radio Show participated in. So this year, after releasing Super Shred, it is only fitting that Dr. Smith came back to share some insight about the difference between the two diets and the secrets to losing 20 pounds in just 4 weeks. For more information on Super Shred, please visit doctoriansmith.com.